I received this from Hodder in exchange for an honest review. As always, my reviews are fair and non-bias. 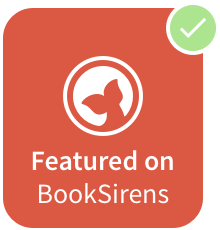 Kass Morgan's name is on my favourite YA Authors list and I don't see it moving anytime soon. 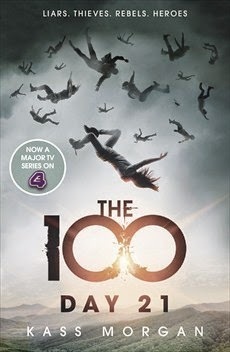 I was won over by the amazing The 100 when I read it in August last year and it quickly crept up as being one of my favourite TV show adaptions, too! I was enthralled by everything The 100 and with the arrival of Day 21, it was a happy day for a girl who loves to read. I thought The 100 couldn't be beaten in this series - but Day 21 went and did it, knocking it right off the shelf (pun intended). In The 100, it set the scene for the second book to swiftly pick back up on all the chaos and heart-racing action. It's been Day 21 days (like the book title) since the Hundred stepped onto the unknown surfaces of Earth. But the drama doesn't just happen on Earth, there's still a ton of anarchic things happening on the ship. We get the story through the eyes of the narrators from the last novel; Clarke (my favourite), Bellamy, Wells and Glass, and it's actually refreshing to get to see everything in a panoramic style, so that none of the action with each different character goes missed. Even when the POV's changed, I was still gripped to the increasingly action packed storyline that became hard to put down. The plot picks up right from where The 100 ended, but before long, wars with a new unfamiliar enemy stir up and the Hundred are faced with more dilemmas and commotion than previously. Their loyalties are tested, Bellamy for his sister's safety, Glass for the love of her life; Luke, whereas Wells is the foundation of keeping the group stable and Clarke is the determined and courageous girl she has been from the first book, trying to find Mount Weather at what ever the cost. Overall, Day 21 is an addition to The 100 series that is unmissable, breathtaking and out of this world. The rollercoaster of the ship, the newfound land of Earth and characters that burst out of the pages with lively and electrifying personalities, make this series a 5 star one by far. If you haven't started The 100 series, you're missing out on something heart-stopping and thrilling on your bookshelf. Kass Morgan has written yet another stunning dystopian novel that's sure to be on everyone's shelf this year. 5 stars and more. And with that ending - I can't wait for book three! Clarke's POV moments have always stolen the book for me, but I loved getting to see the action on the ship in Day 21, and the incredible POV of Glass really crept up on me as a new favourite. YA Dystopia and Science Fiction fans! And of course, for fans of the show! Have you read Day 21? I LOVED this too, I read both books back to back a couple of months ago and just loved them. Its so great there is going to be a 3rd one.